Namibia is a country full of contrasts. The landscape is arid and rough, yet still remains inviting and easy to travel. Visitors can travel vast deserts that taper into crystal clear oceans, enjoy sprawling plains that end in canyons or salt pans. Being one of the most sparsely populated countries in the world, it is a good place for visitors to get lost and enjoy a variety of grandiose landscapes. 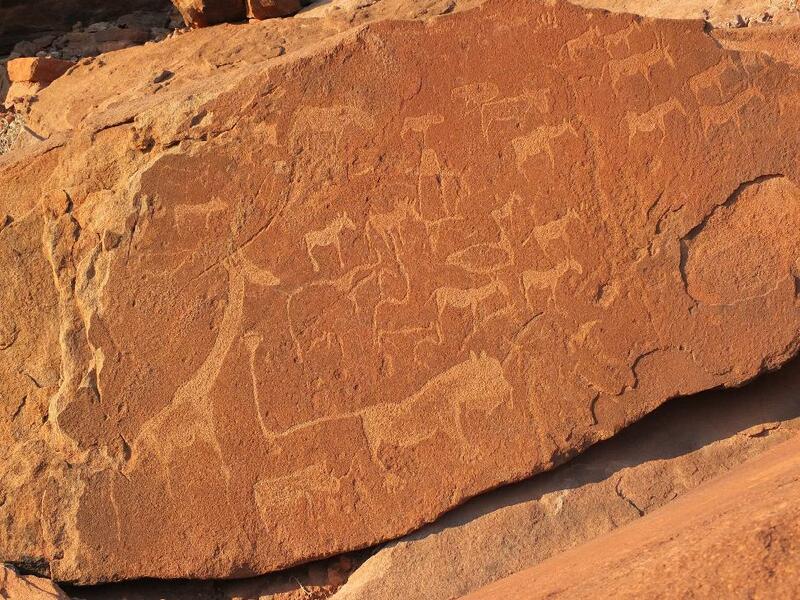 Located in northwester Namibia, the Twyfelfontein contains one of the largest and most concentrated collections of rock engravings in Africa. Most of these carvings were created over 6,000 years ago by ancient Bushmen. Skillfully carved into the rough sandstone are images of animals still found elsewhere in the country today such as rhinoceroses, elephants, ostriches and giraffes as well as human figures and animal footprints. The Twyfelfontein continues to be one of the biggest attractions in Namibia. It is absolutely fascinating to walk the area and find images left by our ancestors to display what was. Some carvings are simple pictures while other seem to tell stories long forgotten by the world. Visitors will sure to get lost among the carved rocks for hours, carefully seeking the next story. Located 120 kilometers north of Swakopmund is Cape Cross. 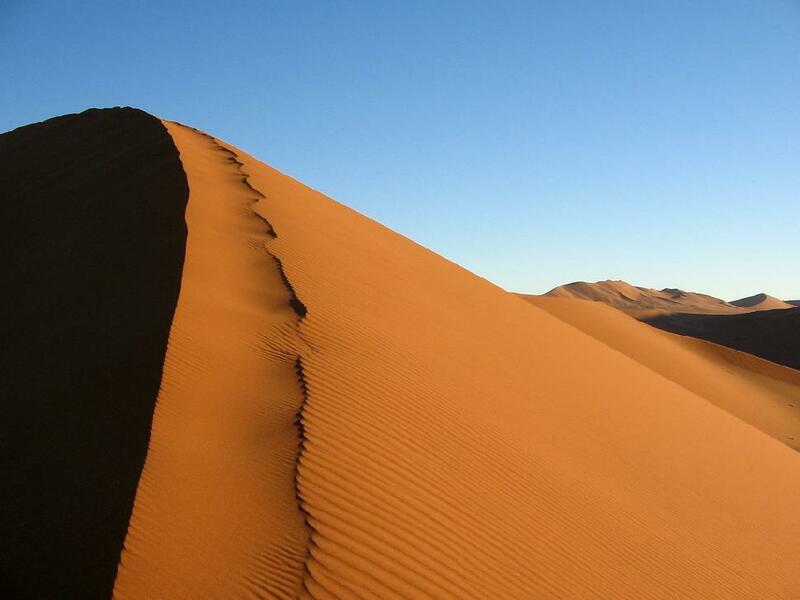 Although it is named after the large stone cross erected in the area by Portuguese explorers in the 15th century, that is not what makes this a wonder to visitors in Namibia. This beautiful sandy beach is buried under a thick layer of Cape Fur Seals, one of the largest colonies of them in the world. Due to hunting worldwide, there are only 23 known colonies of Cape Fur Seals left, leading to the proclamation of the area as a nature preserve in the 1960s. 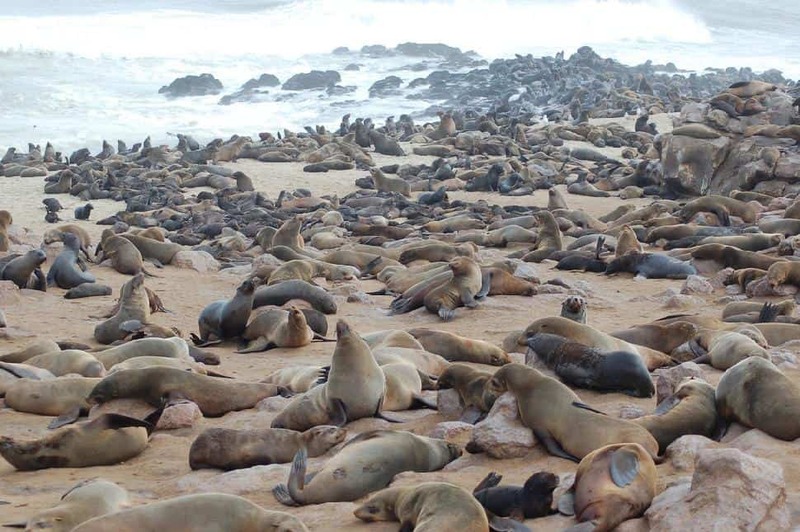 For the most stunningly dense collection of seals, visitors should try to plan their visit during November and December when breeding season attracts as many as 150,000 seals to gather at Cape Cross. The males each form their own harems of several females while also simultaneously fighting for and defending territory. With such a dense population, fights among males are frequent and make for a show that visitors can watch for hours. The Caprivi Strip is a narrow spit of land that is sandwiched between Namibia, Botswana, Angola and Zambia. 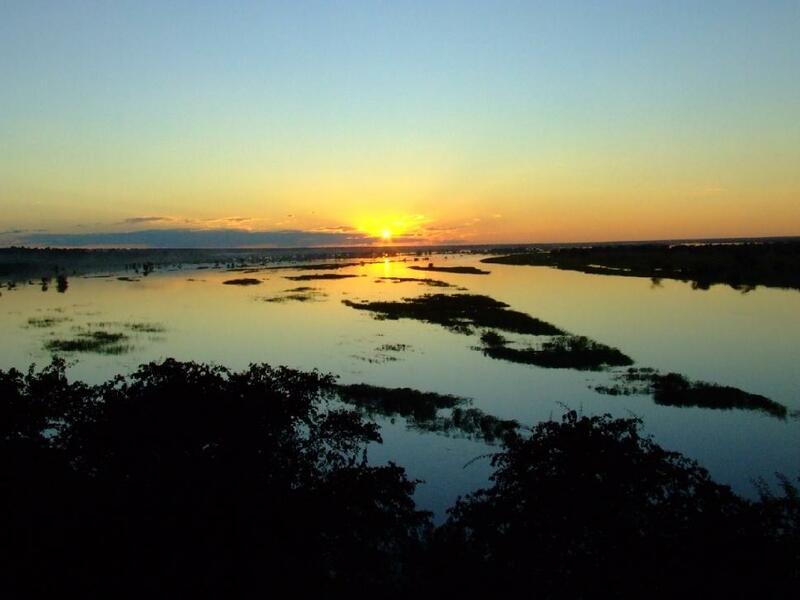 The Caprivi is the wettest region in Namibia, whose high rainfall fuels major rivers like the Okavango, Kwando and Zambezi, thus fueling the grazing lands that attract herds of water buffalo, gazelle and zebra. The abundance of water sustains a large number of animals. Not only can visitors come to see the grazing animals that live in the area, but they may catch a glimpse at the big cats like lions or cheetah that constantly hunt the herds. The Caprivi Strip is also home to a number of elephants and hippopotami. There are four different nature preserves that protect the wildlife from poachers, but there are no fences so animals will roam as they please, occasionally into border countries with less strict laws. Like the animals, visitors can roam freely in land rovers to see the wildlife, but it is strongly recommended that they visit with a guide. 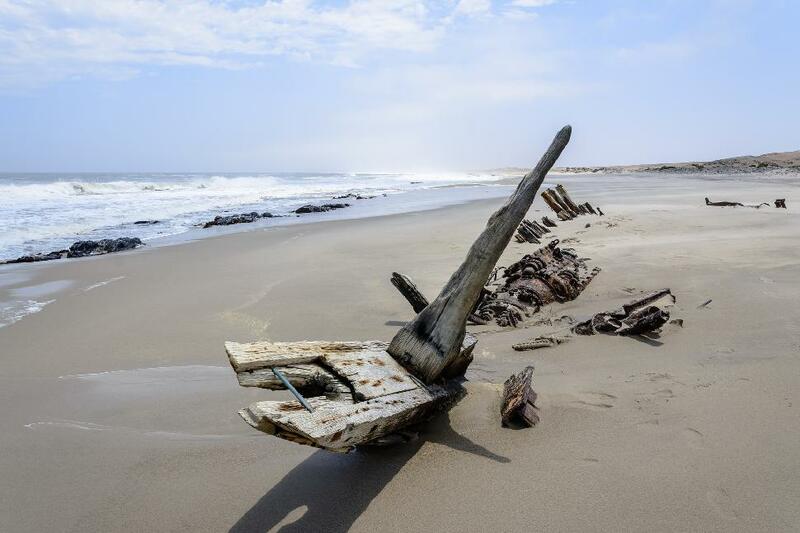 The Skeleton Coast comprises the northern section of the Atlantic Coast in Namibia. Its ominous name is not without reason, it boasts dense fog, strong storms and violent surf that has caused many a ship to run aground along this stretch of sand, making this stretch of coast is the world's biggest ship graveyard above the ocean's waters. Those who are shipwrecked and still manage to reach a shore have cheated death only to face absolute torture. The sandy shore does not lead to a green oasis, but rather a vast, hostile and dry desert leaving sailors only saltwater and sand for refreshment with very few villages nearby. Needless to say, many sad stories have began and ended here. Terrace Bay is the most attractive stretch of the Skeleton Coast, dominated by tall sweeping sand dunes and sharp rocks jutting out of the water. Visitors should try to head to Terrace Bay for a foggy sunrise. With the dense fog and the beautiful painted colours of sunrise, the sand becomes indistinguishable from the sky. 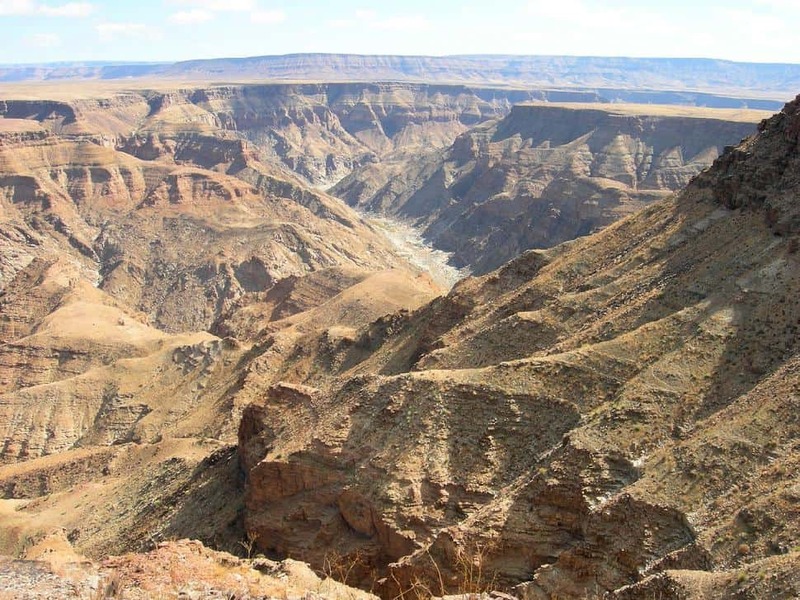 The splendor of Fish River Canyon in southern Namibia is only rivaled by the Grand Canyon in Arizona. It is breath-taking in its immensity, sprawling on well into the horizon at some points. Among the canyon's jutting ridges is a gigantic ravine, carved out over thousands of years by the eponymous Fish River. This river has grown the canyon to 160 kilometers long and up to 27 kilometers wide and in some places 550 meters deep. However, the canyon's growth will be slowed now that the Fish River has been dammed upstream, slowing the waters to a mere trickle. With the river waters so low, it has opened the canyon up to further exploration from visitors.